(14 December 1918 – 20 August 2014) - B.K.S. Iyengar was the founder of the style of yoga known as "Iyengar Yoga" and was considered one of the foremost yoga teachers in the world. He was the author of many books on yoga practice and philosophy including Light on Yoga, Light on Pranayama, Light on the Yoga Sutras of Patanjali, and Light on Life. Iyengar was one of the earliest students of Tirumalai Krishnamacharya, who is often referred to as "the father of modern yoga". He has been credited with popularizing yoga, first in India and then around the world. Iyengar’s seminal book, Light on Yoga, is widely called ‘the bible of yoga’ and has served as the source book for generations of yoga students around the world. In Core of the Yoga Sutras, his first new academic work in over a decade, Mr. Here is a new edition of the definitive guide to yogic breathing from B.K.S. Iyengar, the worlds most respected yoga teacher. It was Iyengar’s unique teaching style, bringing precision and clarity to the practice, as well as a mindset of yoga for all, which has made it into a worldwide phenomenon. B.K.S. 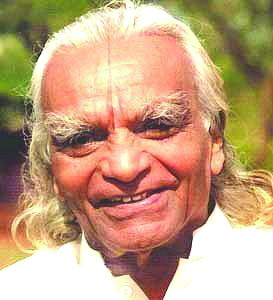 Iyengar has practiced and taught yoga for over fifty years. His Light on Yoga and his many dedicated teachers have revolutionized the practice of yoga in the West. Now in a larger format, easier-to-read edition with sewn signatures (so it won’t fall apart with steady use), this classic guide to yoga from the world’s foremost authority has instructed thousands of yoga students since its original publication in 1966. Updated to celebrate the Yogi’s 95th birthday, this classic is the only illustrated practical Iyengar yoga guide written by the master himself. Yoga: The Path to Holistic Health is the complete, authoritative teachings of Mr. Iyengar for mind, body, and health. In Light on Life , the world’s leading teacher of yoga shows how we can transform ourselves by bringing yogic principles into all aspects of daily living. The definitive guide to the philosophy and practice of Yoga--the ancient healing discipline for body and mind--by its greatest living teacher. Light on Yoga provides complete descriptions and illustrations of all the positions and breathing exercises. Features a foreword by Yehudi Menuhin. Sparks of Divinity is a collection of the teachings of yoga master B.K.S. Iyengar first published in a French-English bilingual edition in 1976.